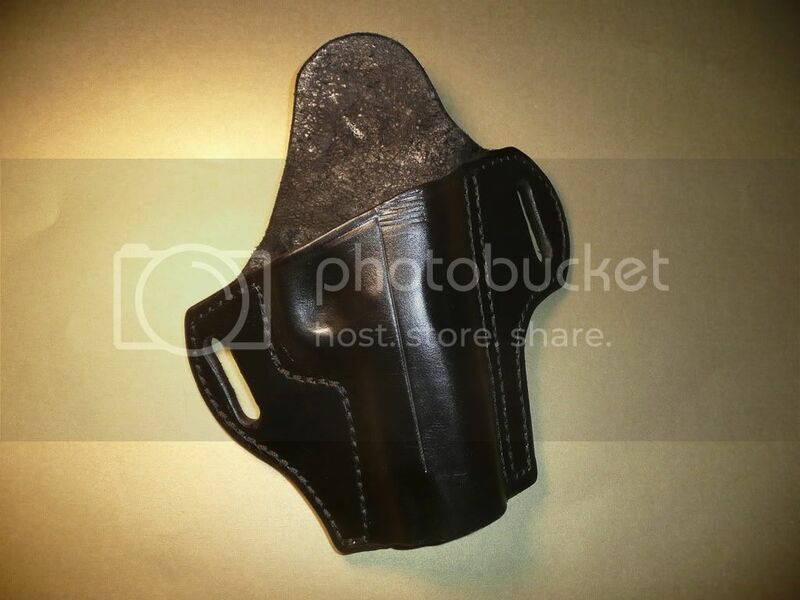 One of the greatest things about being in touch with Dennis more or less on the "ground floor" of his holster-making odyssey is watching how his style and craftsmanship have evolved from the Pistol Pouch to the Fugly to this latest holster. The quality of Dragon Leatherworks holsters has always been top notch; what's been amazing to watch is how the fit and finish has changed over the years and the different models. There's no denying that his stuff is sturdy to beat the band; lately he's been stretching his artistic chops as well, and the Talon is a wonderful amalgamation of form and function. 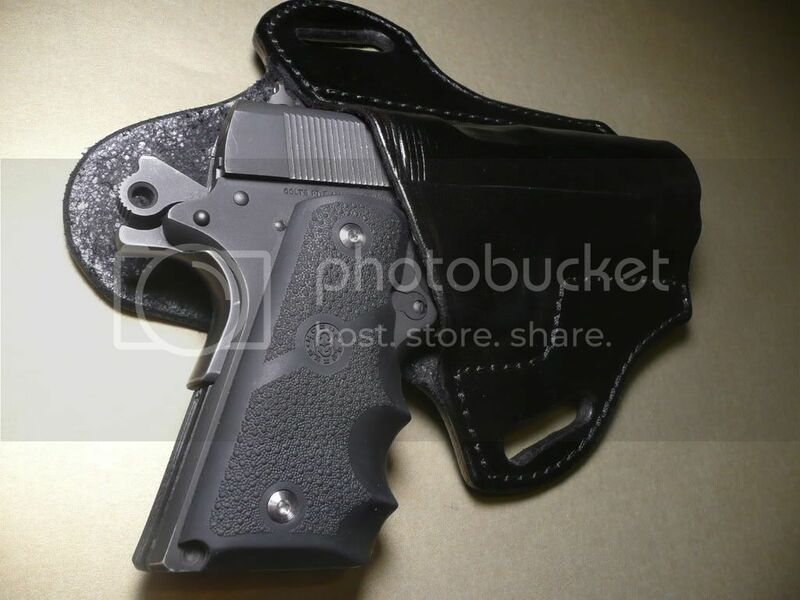 I still can't get over how polished this holster is - this is the same guy who, not even a year ago, rolled out the Fugly. While the Fugly was never intended to be a beautiful swan, the latest offerings certainly are. They're elegant in their simplicity; beautiful in their fit and function; and are attractive enough to serve as OC holsters for any occasion. I tried it on with the 1991A1 inside and was pleasantly surprised at how well it carried. 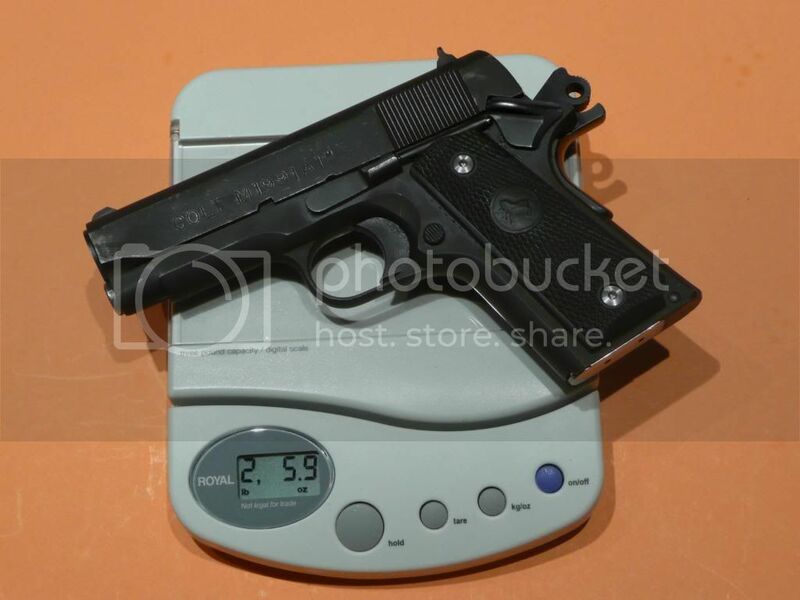 Even the Officer's size 1911 is a heavy SOB in all-metal guise (nearly 38 ounces loaded), yet the Talon distributes the weight very evenly. I'll have a full review on how it carries later on; I only had a brief opportunity over the weekend to try it out and I'd prefer to put a few more miles on it for a more complete review. For now, though, the Talon sure looks like it's hitting the mark! So the Talon also accepts the Defender-length 1911 (1991 compact 3")? It fits my commander like it was designed for it. 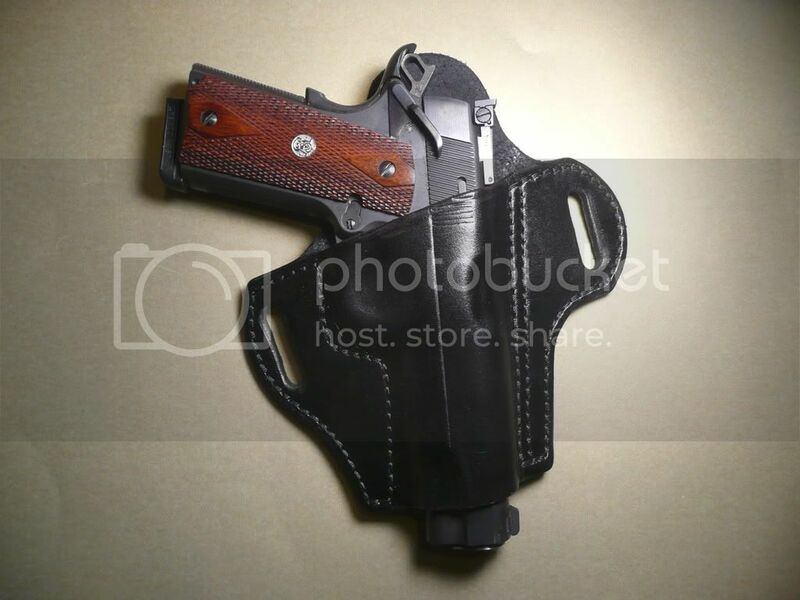 Wow - that's great looking holster! It's making me wish I had a gun worthy of sitting in it! All my tupperware just wouldn't look right.